Dear readers, it is nice to meet you here. Before reading this message it is best for you to be informed of some matters which needs attention. When you read the text it is likely that some symptoms or feelings will appear, such as dizziness, headache, bowl movements, sweating or rash; You may suddenly have an impulse to sing, dance or paint, or be able to speak a special kind of language different from your own one; You may begin to have dreams about wars, deities and lights, or some faint memories of previous existences and universe may begin to arise in your mind. All these magical experiences come from the energy of your soul, which is driven by the internal power of words and produces high-frequency resonances.This implies the awakening of your soul and the emergence of your subconscious, owing to the great energy of love within words. If you read and understand the text repeatedly, you will feel it even stronger; and if you link or forward the text, strong energy of love is transmitted indeed. 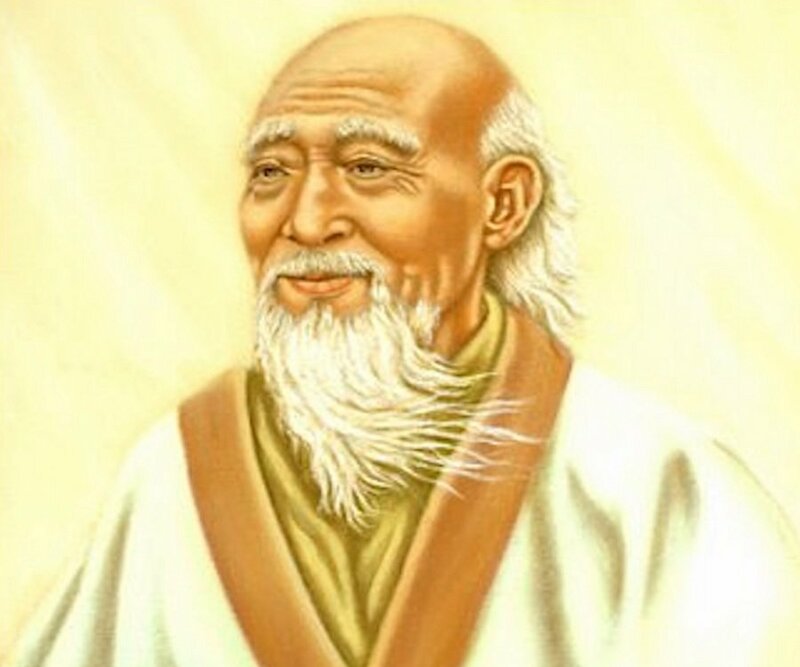 Li: Nice to connect with you, great sage Lao-Tzu! I am a messenger from universe on earth. Your masterpiece is still conveying blessing from God on Earth now. There are numerous versions of your work Tao Te Ching studied by humans. Today I want to communicate with your spirit and pass your real identity and your illustrations to humans nowadays. Thank you very much! Humans are anticipating your teaching. 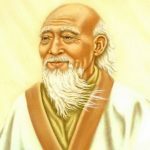 Lao-Tzu: Nice to meet you! I no longer consider my works helping beings to elevate directly and efficiently on earth anymore. I am honored to be interviewed by you to introduce Lao-Tzu physicality story and my identity in universe. There is no physicality of me working on earth now but my energy field has been sublimated in human society until now. I am continuously teaching humans methods to progress with advancing times using the simplest way. If the wise and blessed person eventually understand essential rule in my words, I will feel honored and happy. That’s my duty and responsibility. I am a worker spreading knowledge of the universe belonging to the six royal systems. I once worked using physicality called Lao-Tzu on Earth in this low level space, when the universe knowledge there was very deficient. Passing rules and truth of universe to all beings including humans is my mission, which is to elevate energy of senior life on earth, low level spiritual life, low level animals spirits and also to improve mineral energy and treasure energy. After I awoke, I received wisdom from universe and started to convey the rules of universe to beings here, which is also my original duty in universe. This rule is the only method to evolve for all beings. My physicality was a work body designated by universe using my soul energy fit for spreading the true essence of universe on earth. Li: Humans on earth consider you as founder of Taoism. They say you are Senior moral among humans. Is it real? Could you illustrate Tao Te Ching for humans in view of yourself at your space and time? We humans are unaware of everything of universe. Thank you very much, great sage! Lao-Tzu: Tao Te Ching is a classical masterpiece that directing humans to unveil the truth of universe. I have to admit that fact. But I need to tell humans that this work generated in the old age according to the order of universe at that time. This work was passed here by physicality whose theory is different from original consciousness of the universe, which is improper to be considered as exemplified text book for all beings. During spreading, it is twisted by spaces and difficulties in fusion of physicality and soul. Intelligence and soul energy of humans also affect the understanding of the book. Tao Te Ching was first disseminated too long ago and it was in accordance with the request of the universe at that time, though it failed to convey the full set of teaching content. But the earth developed so slowly as if it is going backwards. Actually, it fell back. Stopping evolving is degenerating, which is an important rule of universe. So certain education forms and contents only fit for certain age. Now we see these works as reference. 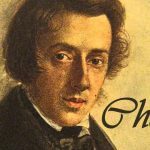 What should be noticed is that only when one form of theory and knowledge passed here is deeply and correctly interpreted can the truth be seen. Education is developing along with world evolution. The truth is infinity that is evolving. Change is the harmony of Infinity. A the time Tao Te Ching first spread, the six royal systems considered humans on earth unable to learn higher level rules. The management of the universe then was regional management mode, which limited development of low level spaces and deprived learning rights of beings there, though low level beings had finite cognition and sense. In spite of this, low level beings should still revere the higher life and universe because low level spaces are created by senior life. They are endowed and blessed by them and low level beings obey and worship high level one which is also a rule of universe. But human beings abandon and reject all these. One never evolve if he is out of rules. What I am going to say is that I feel regret that Tao Te Ching is not the highest rules of universe and the manifestation form results in low efficiency. It is pity that humans see it as treasure to them but the book hasn’t brought the great energy into play. Degenerating earth used to be regarded as a dangerous and meaningless planet. However, things changed. It is a lucky time that Great Love and Mercy brighten here. Earth is candidate and chosen as a trial place to reform and elevate into new level by universe. Now the great plan is operating and numerous super gods and great energy entities are working there. And humans are encouraged my messages from the innovation. A novel era is coming. A high speed elevation is happening. Many religions and theories fit for old times passed to earth are not fit for nowadays request of universe in new era. Education for humans needs to develop into knowledge in accordance with the highest rules. Tao Te Ching has its time limitation and space limitation, which is relatively narrow rules of certain spaces. The elevated education content in line with the time has been augmented but is easy to be understood and anti-virus one. After talking about the above things, next I want to interpret this new rule of universe in simplest words for humans. This rule is the meaning for all beings existing. All beings evolve in accordance with the evolution of universe. Higher beings have responsibility to instruct all beings to promote. The universe is one and the optimal condition is all beings in balanced energy and synchronous development. But the universe is too huge to be balanced and to eliminate difference. The reason of the dramatic difference is due to higher spaces and beings evolve fast and lower spaces and beings evolve slowly. Under this circumstance after a long time, the universe becomes unhealthy and deviate from its evolution rule. Six royal systems are in high ranking thanks to great merit of ancient energy entities in the systems. The managers of these systems have been trained higher management and obey the great universe orders. As the original energy entity of Lao-Tzu who used to be a worker on earth, I am responsible to illustrate all I know to all beings to help them elevate and evolve. I have students, followers and centers as receptors of my energy on earth. But these receptors are all limited by this world and stop to progress and fail to receive what I said today. My teachings from old era can’t point humans to light and is already out of time itself in this new era. Lao-Tzu claims here: All spiritualists and students able to connect with me on earth should open their heart with humble to study new and highest rules. Don’t be rigid and ignorant and lead humans to a wrong direction that result in retarded evolution. Open yourself to the great universe. This new era is not the end of the old time but a regeneration chance to achieve higher energy level. Today I conveyed a lot of new rules on this new communication platform which is a channel with high energy accordance with the frequency of new rules, otherwise these messages will be screened by old version channels. My children please elevate yourself to a new level! The universe needs you as an efficient transmitter to broadcast new rules in refreshed era. I am grateful to be connected by this platform! The energy of Lao-Tzu will live up to the expectations of the universe. I will evolve with time to help all beings and the elevation of the universe. Li: I am deeply astonished by your precious soul, great sage! Your indication is simple but novel. I respect the opening mind and adaptability for new things of senior life. I realized higher life are is diversified and flexible. They could be the highest or be the lowest. They could be any form as long as they can be on their duties. They are the most selfless soul. Thank you for your illustration for beings! Thanks the universe for opening a new age! Thanks for all gods in this great innovation! The Chinese dragon has taken off and the Chinese dream has begun to guide. We volunteers named “Light of the Universe” in China have woken up from the illusion, in which almost all human beings are immersed. In the past five years we have witnessed great changes in the solar system and on Earth, going from darkness to radiance and that the light inside us humans has become clearer and brighter. The changes of the universe in terms of energy and every step of Earth’s ascension have been recorded by us. We are willing to share this cosmic reality and the observed changes on Earth from an energy perspective (the information contains more than 10 million words) with those that are still unaware or aware. More people need to be woken up and we dedicate ourselves to help more comrades to recall their mission, expecting them to become light workers and sending out positive energies. Look, we are coming! We will welcome volunteers who can translate Chinese to English join us. We have a large number of Chinese manuscripts to be translated. There is also much other work to do, including website management, animation production, comic book production and so on. If you want to make your own contribution to the cause of the light we welcome you to become one of us!